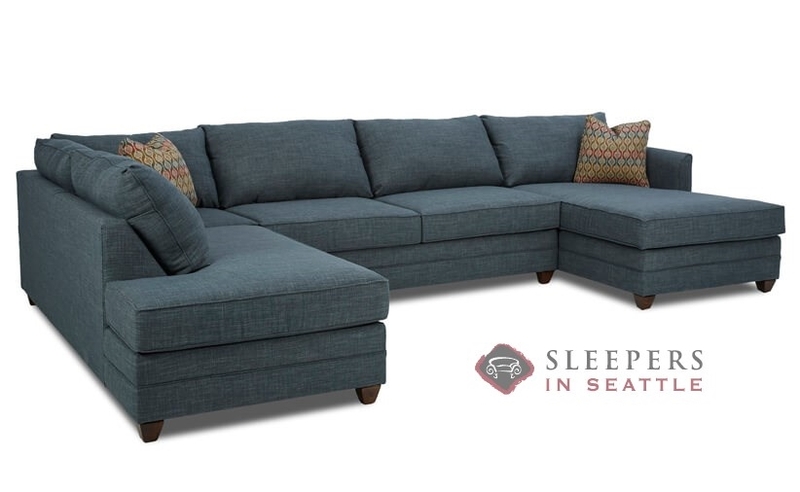 Stylish and cozy, the Valencia Dual Chaise Sectional Full Sleeper Sofa with OPTIONAL Storage (on the smaller of the two chaise lounges) is a fit for any tasteful decor. Thin, sloped arms, and welted detail offer this sofa a sophisticated appeal. The Valencia is fully customizable in our vast array of Designer Fabrics. Visit the Design Center now to browse through our endless upholstery options. 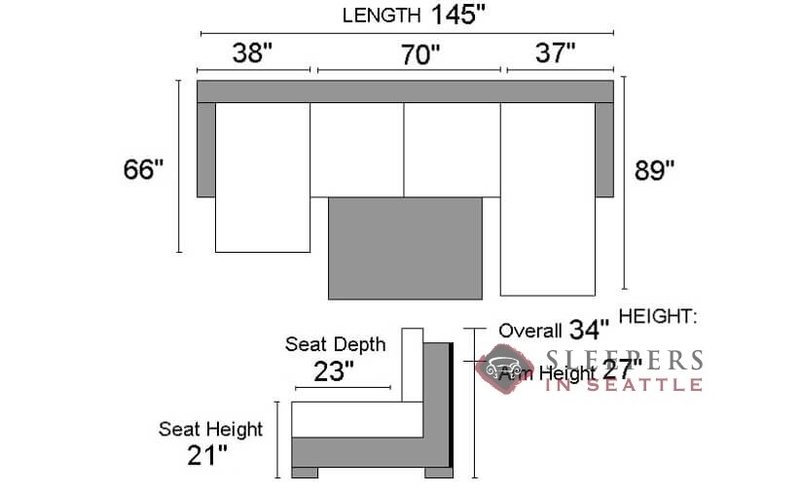 I always considered buying a sectional but for some reason I was reluctant to pull the trigger. Well, I got over that fear. I got my Valencia a couple months ago and I'm all about it. I was a little concerned that it would dominate the living room, it kind of does, but it's so nice and cozy that i really can't complain. 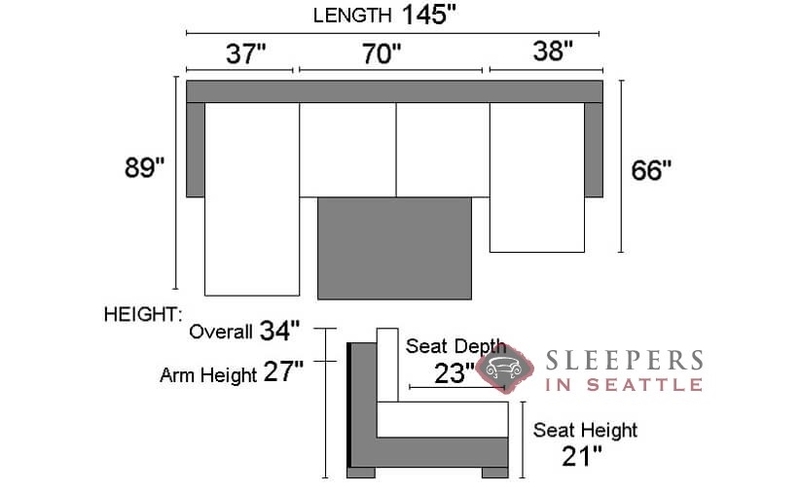 Loving the t-cushions and with the sleeper pulled out, it's like a great big cozy fest. If you want something super sleek this might not be for you, but if you have a family or are just good old fashioned couch potato, this sofa is awesome.